Gluten is a protein and is found in grains such as spelt, wheat and rye. Gluten is a useful when making bread and pasta as when the flour (which contains gluten) is mixed with water, it creates a glue-like “sticky” consistency, making the dough strong and elastic. 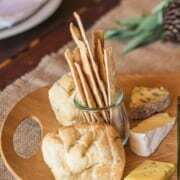 It gives bread a delicious chewy texture. Salt also helps to preserve the strength of gluten. On the other hand, when butter is added to a dough mixture, it shortens the strands of gluten, making the dough “short”. Butter contains fat, and the fat weakens the strands of gluten, so they can’t join together to make a strong elastic dough. This is why butter is added to dough such as brioche, short pastry or baking which require a soft tender mixture. 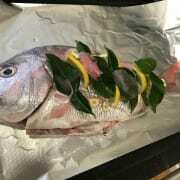 Cut 3-4 slits in each side of the salmon, fill with half lemon slices, thinly sliced pickled (or fresh) ginger and lime kaffir leaves. With these beautiful long summer days drawing to an end, many keen fishermen are eager to spend us much time out on the boat before winter sets in. Furthermore, many have exhausted their BBQ repertoire over the past couple of months. For this reason, we felt the need to give some fresh inspiration to the avid fisherman. Here is a great way to enjoy the catch of the day! Begin with a whole snapper, gutted and descaled. 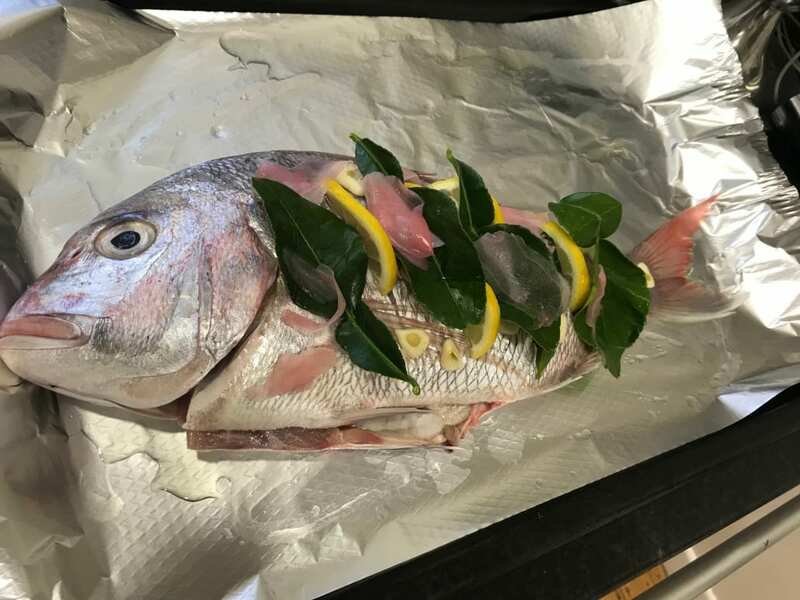 Oil two large sheets of foil, place the fish on one of the oiled sheets, and place the other sheet of foil over the top, oiled side facing down. Crimp the edges of the foil to seal. Having a Waitangi Day BBQ? Here are our top tips…. 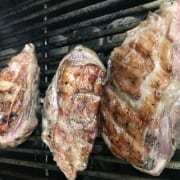 BBQ Lamb rump – Yum! Season the meat with salt, pepper and a little oil. (Avoid oiling the grill because it can burn and char the meat). Turn the protein only once. Leave it on the grill until you can remove it easily to cook the other side. If it sticks, it isn’t quite ready to be turned, so leave it for an extra minute. The protein is Medium Rare when blood starts coming to the surface. 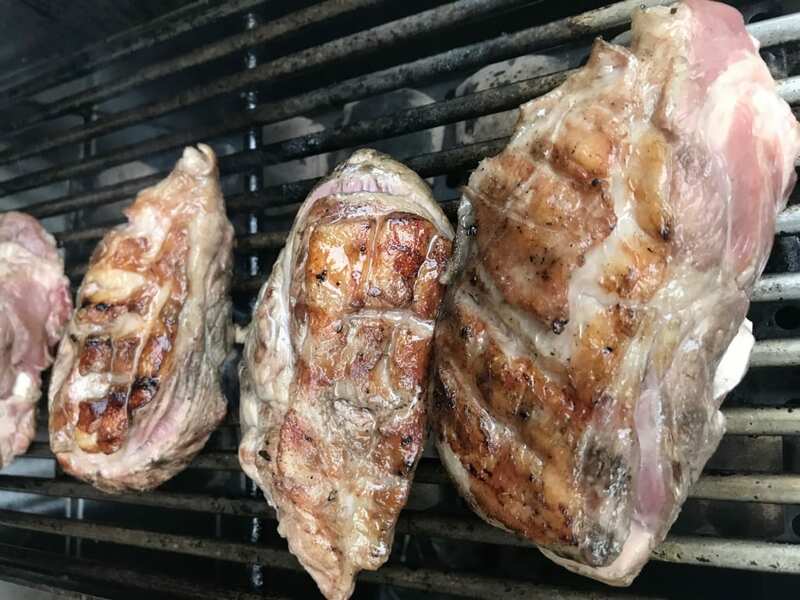 Good old Watties are a staple at most kiwi barbeques, however there are many different options to add flavour to your BBQ. Above all, you will impress your friends! Chimichurri sauce is the perfect way to add flavour and freshness to proteins without over powering them. This sauce is traditional of Argentinean BBQs, similar to pesto and is gluten free! 1 tsp fresh chilli or ½ tsp dried chilli. Put all ingredients in blender and blitz, season to taste. 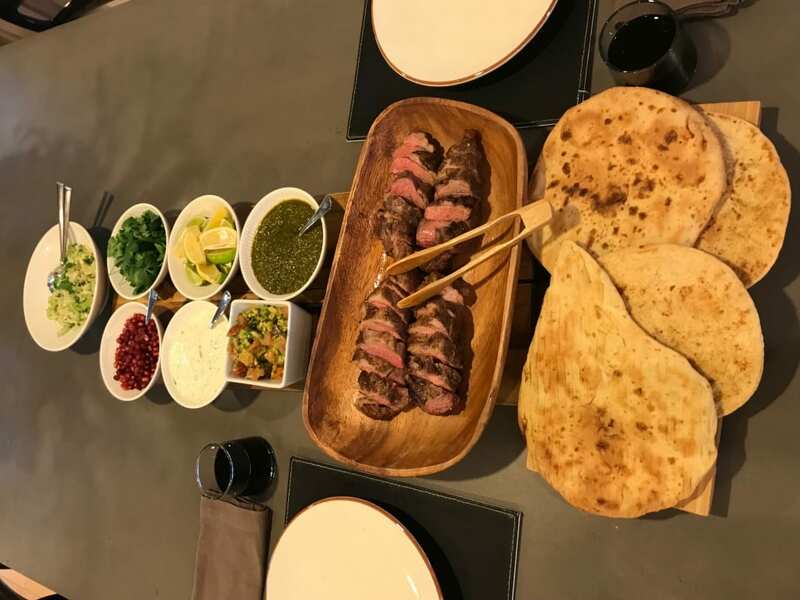 BBQ Lamp Rump, Chimichurri Sauce, flatbreads and accompaniments such as fresh coriander, pomegranate seeds, yoghurt, lettuce and tomato salsa. 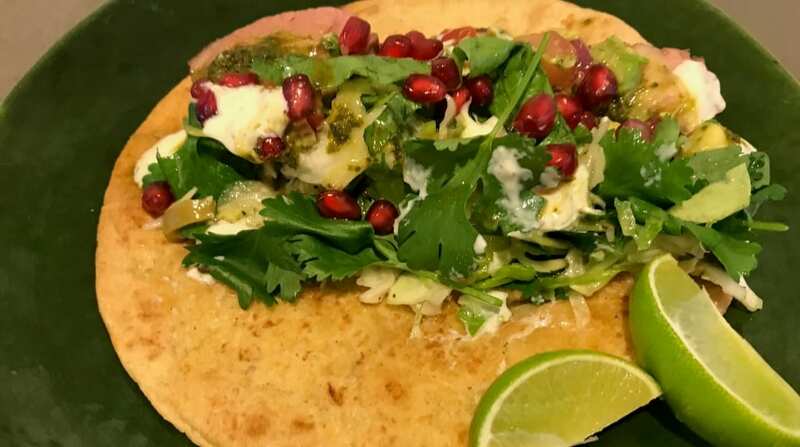 This sauce is beautiful served with BBQ Lamb rump, fresh lettuce, coriander, and pomegranate seeds with a drizzle of fresh lime juice. 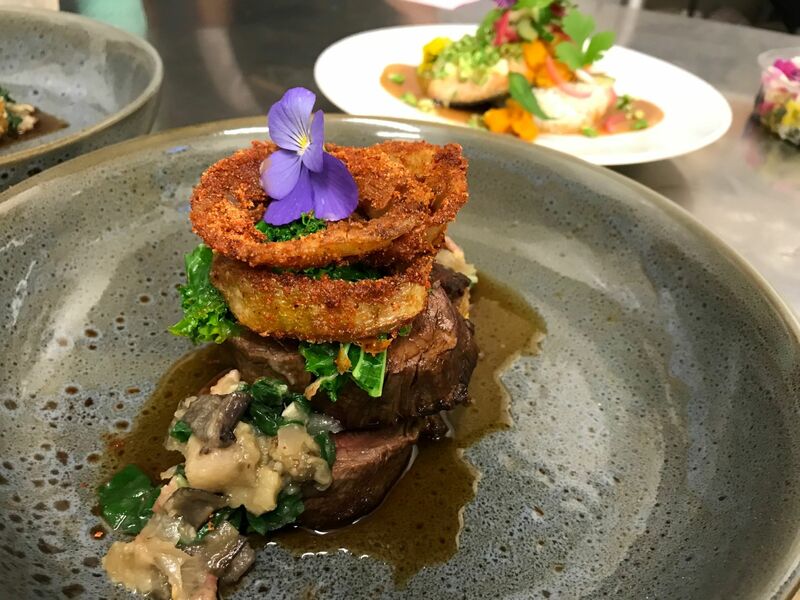 This beautiful dish currently features on the Summer menu at Church Road Winery Restaurant, Taradale, Napier, and was created by our Executive Chef, Jenny Parton. The Quinoa feta balls are a delightful accompaniment to the dish. The crispiness of the quinoa and the soft “melt in your mouth” texture of the feta is a pleasure on the palate. Quinoa Feta balls are a perfect accompaniment to your Antipasto platter, a tomato and basil salad, a cheeseboard or a beef or lamb dish. Try out this simple recipe, and wow your guests at your next dinner party! Cook black quinoa. Dry off and fry in deep fryer or a pot of hot oil with a metal sieve until popped. Whip feta with a fork, mix with crushed garlic and rosemary. Chill down. Roll into balls and before placing on your plate, coat in crispy black quinoa. 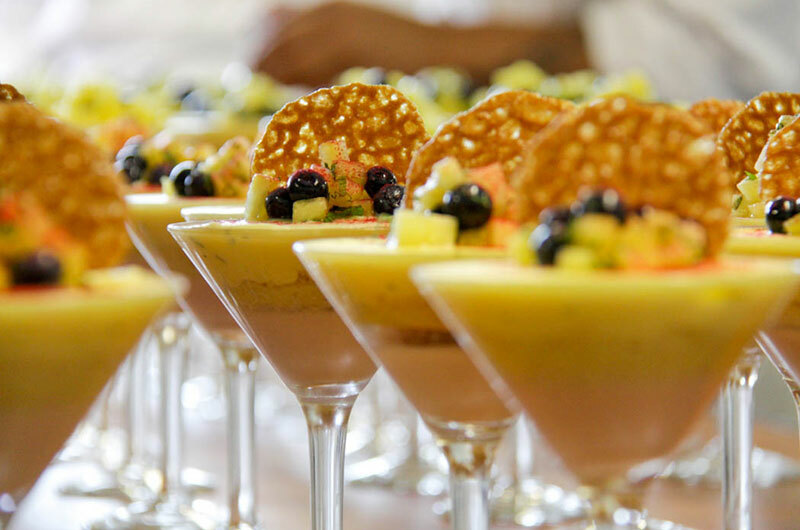 As caterers, we understand that food plating and presentation are vital to a guests experience. People “eat with their eyes” so creative plating adds to the visual appeal of a dish. Here are a few tips to plating up the perfect dish for your guests this Christmas. Size – Make sure that the plate is the right size to frame the food and that your food stands out. 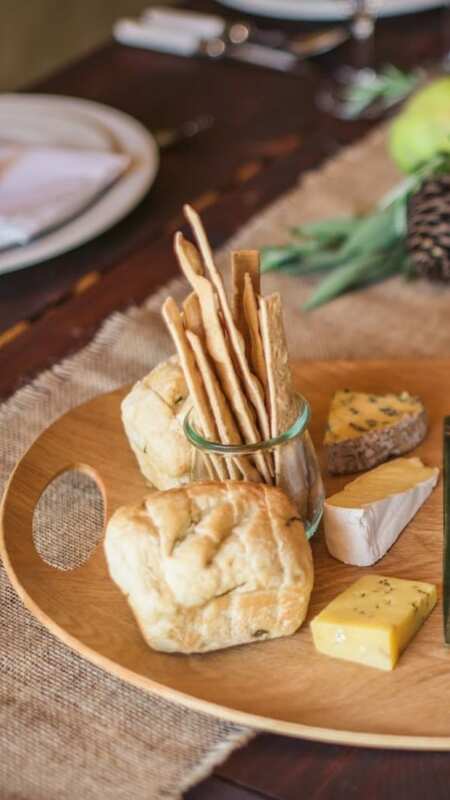 A plate with a rim is great for creating a border around the food. Make sure that the plate is not so big that it makes your meal size look too small! Colour – The colour of your plate is key to attractive food presentation. 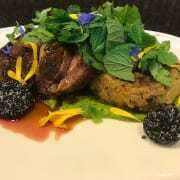 Black or white plates provide a nice contrast to the colours of your food, so is nearly always a popular choice. There are also a lot of other modern colour options available on the market these days, so it’s a good excuse to go shopping and update your old dinner set! So give some thought to the components of your dish and what colour plate would be complementary. The wet ingredients – such as jus, puree or sauce should be put on the plate first. Consider how much you are putting on the plate so as not to drown your meal! On top of this you can then place your starch, or your dessert. Odd Numbers – It is always visually appealing (and a trick of the trade) to plate an odd number of the small bite sized items on your plate such as scallops, onion rings. 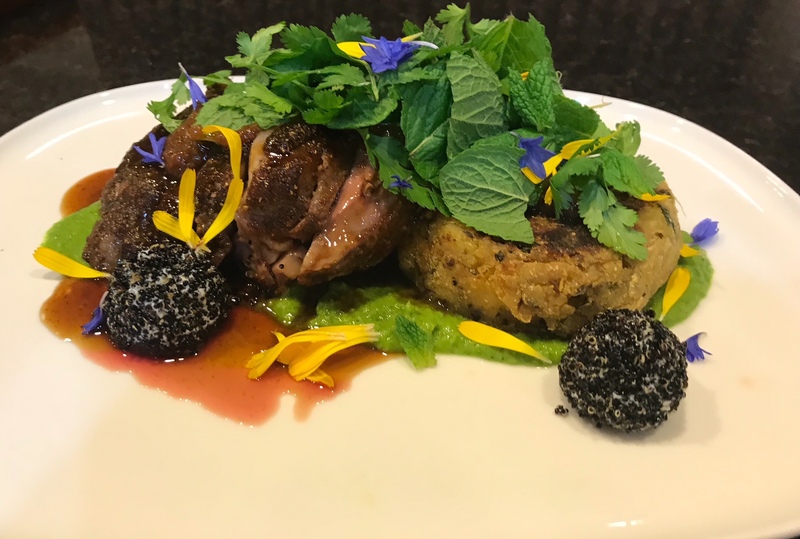 Colours –While the focus of the dish is usually on the protein, think about the colours and how they will contrast on the plate. We like to use ingredients such as crisp green vegetables or fresh herbs, bright orange carrot or pumpkin puree or pickled pink onions to create our masterpieces. These vibrant colours add to the visual appeal of the dish. Edible flowers are also a great way to add visual appeal to a meal! Height – here at Dish we like to experiment with height when presenting our meals. 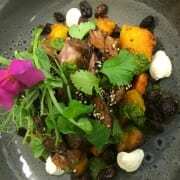 The main we achieve this is by adding garnishes that give height to the dish such as a wafer, which is placed at a 45-degree angle against the side of a protein. Pea tendrils also add a pop of colour while creating elegant height to our dishes. Texture – Contrasting texture with complementary flavours add visual appeal, as on the palate. 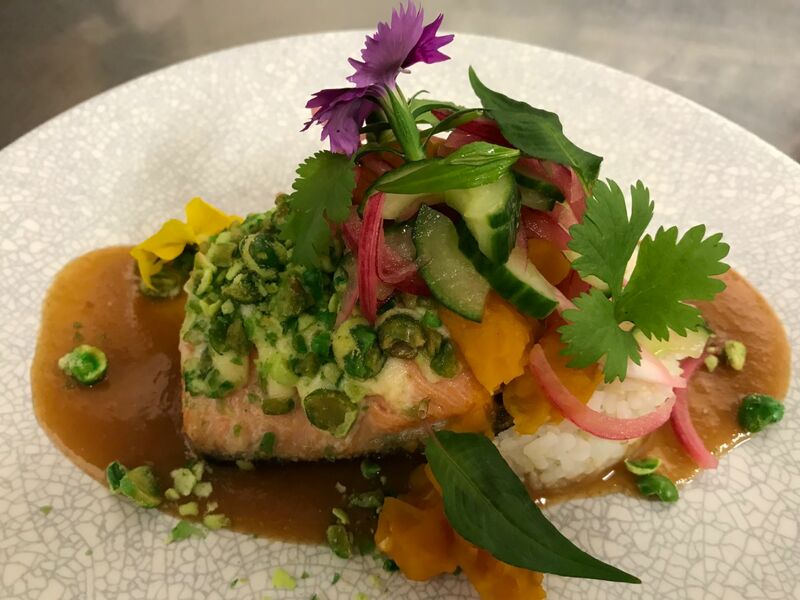 Imagine a creamy Asian-inspired sauce served with grainy rice, a soft slice of salmon topped with crispy cucumber and pickled pink onions – Yum! Crispy shallots add a pleasing crunch to a dish too! Garnishing – Garnishes are key as they are the finishing touch to any dish. Garnishes need to be edible and the flavours need to be complementary to the dish. Fresh Vietnamese mint and coriander go exceptionally well with Asian style dishes, and help to enhance the flavours on the plate. A sugar wafer or biscotti placed on a creamy dessert such as crème brulee add both contrasting texture, height and taste amazing!